THE AFRICAN CONTINENT is rich in history and it is perhaps not surprising that it boasts one of the oldest martial arts in existence. Its varied landscape—the massive expanses of deserts, the lush green jungles, and the amazing vistas and fauna—is reflected in the diversity of its martial arts, which, along with those of the Middle East and central Asia, are arguably among the most captivating in the world. 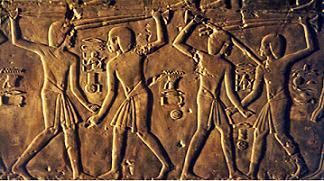 The earliest evidence of martial arts in Africa was discovered in the Beni Hasan tombs in Egypt, which date back to between 2040 and 1785 BCE, during the Middle Kingdom. In the tombs, archaeologists found paintings of wrestlers displaying techniques such as punching, kicking, throwing, and locking of their opponents’ joints. 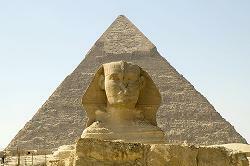 There is also evidence to suggest that ancient Egyptians performed stick fencing as a tribute to the Pharoah. Modern Egyptian Stick Fencing—the highly codified system of combat with its own methodology, weaponry, and training syllabus—was developed to keep the Egyptian armed forces trained and ready for battle. Wrestling and grappling arts are popular throughout Africa and have been likened to European Catch Wrestling and Pankration. These were traditionally associated with agricultural ceremonies and courtship rituals, most commonly in Nigeria, Sudan, Senegal, Cameroon, and the Gambia. Tribal fighting arts were originally practiced as a method of survival because, prior to colonization, the greatest danger to sub-Saharan Africans was the threat from other tribes. Tribal rivals would have been equally matched as hunters, gatherers, and fighters. 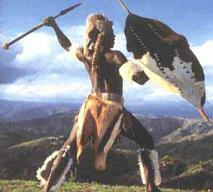 The most renowned of the African warrior tribes was the Zulu of South Africa, who still represent South Africa’s largest ethnic group. Historically, their primary arts included the spear, shield, and club, and they made clever use of all three during strategic advancement. African tribal weapons were designed for warfare and survival and, as such, were brutal. Historically, the Zulus(South African) initiated combat by first throwing their spears from a distance or charging at opponents with them, using their shield as a blocking device. When the use of a spear became impractical at close quarters, they would switch to a club. However, Shaka Zulu(South African Zulu King), the revolutionary leader of the Zulus during the early 19th century, changed indigenous warfare when he introduced the “iklwa,” a stabbing spear that proved highly effective in combat when combined with a tall shield. Many other clever instruments of war were developed in Africa. The throwing iron, for example, known as the “mongwanga,” was a spiked weapon throwing implement that could be employed effectively from distances of 82 yd (75 m). When thrown with force at a closer range of 27 yd (25 m), this multi-bladed instrument could easily impale a victim, sometimes with lethal consequences. It also had a handle so that it could be used to stab and thrash at close quarters. Another interesting weapon used by certain tribes was the bladed bracelet – a wrist bracelet with a sharpened outer edge. Perhaps the most interesting aspect of early African martial arts was the reliance on memorizing attacking and defensive maneuvers by setting them to patterns of dance, accompanied by music. 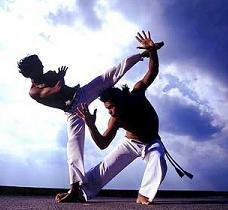 These artistic elements of African martial arts have also influenced other arts, such as Capoeira, the Brazilian dance- and music-based martial art, which was originally practiced by African slaves. 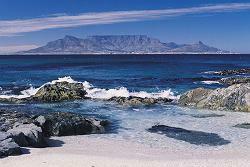 Throughout Africa’s long history, martial arts have largely remained unchanged until relatively recently. From the mid-18th century, the European introduction of firearms in exchange for West African slaves threatened the continuation of traditional martial arts in Africa. The introduction of the gun changed the face of warfare entirely, leading to an emphasis on different battlefield skills. Furthermore, in the late 19th century, the Islamic revitalization of many African countries led to the reduction of a lot of martial arts that contained pagan or shamanic elements.